IUT Technologies – Applications that count. IUT Technologies uses the most advanced solutions to bring an unrivaled and simple workflow to your industrial and environmental monitoring. IUT Technologies is a developer and manufacturer of trace gas analyzers for industrial- and environmental monitoring and for solutions in the homeland security and building protection. The applications which can be covered range from ambient air monitoring, process monitoring, stack monitoring to semiconductor and safety at work applications to the detection of Chemical Warfare Agents (CWA) in homeland security. Meet us at Analytica in Hall A3 booth #232 from Tuesday April 10th – 13th 2018! Techmation, distributor for Belgium and Netherlands, is joining the same Analytica booth. 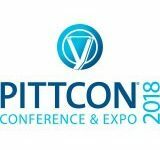 Meet us at Pittcon booth #1356 from Tuesday February 27th – March 1st 2018! IUT Techmation, distributor for USA and Canada, is joining the same Pittcon booth.